Vegan protein powders are often overlooked, but they're actually the best for cooking. 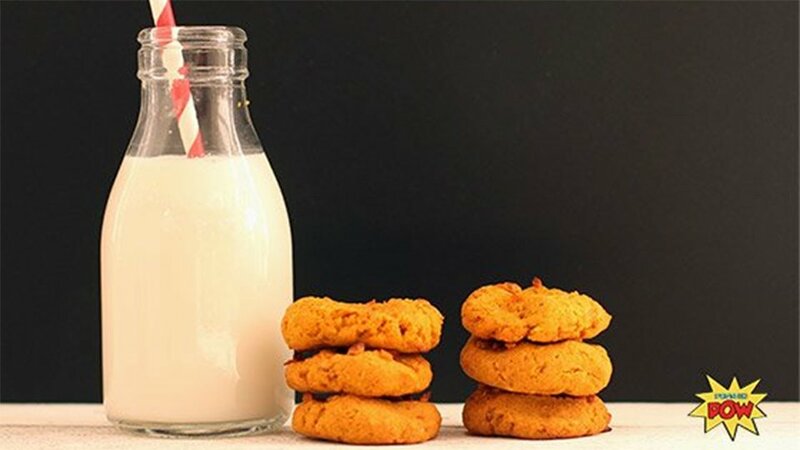 Learn how to bake moist treats with this protein cookie recipe. In a food processor, blend all of the above ingredients together until you get a pasty sort of dough. Taste it to ensure that it's sweet enough for you. If it isn't, add the sweetener of your choice. Divide the 'dough' into 7-10 balls, and press them onto a baking tray. If your mix is too sticky or wet, add a bit more protein powder until it reaches the right consistency. Bake for approximately 16 minutes at 320 degrees Fahrenheit (160° C) or until the cookies have baked through. The cookies will be super soft when you remove them from the oven. In fact, they'll crumble if you try to pick them up! That's fine, and to be expected. Just let them cool completely and you'll see how they considerably firm-up. And make sure no delicious morsel is left behind. Enjoy with a tall glass of coconut or almond milk!